Whoever you are, you have the power to reduce the impact of cancer on yourself, the people you love and on the world. 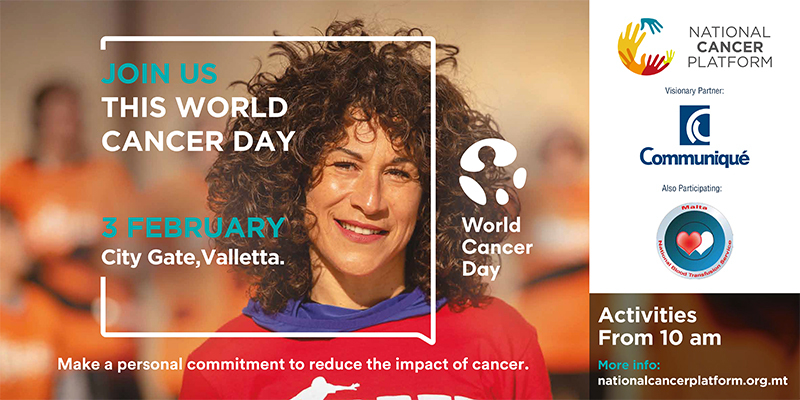 It’s time to make a personal commitment starting this World Cancer Day 2019. Kick start your commitment to a healthier life style by participating in the City Workout! You will be given special headphones to follow the highly experienced instructors through this dynamic workout! Exercise, music, and cultural heritage come together in this unforgettable experience. Participation in the City Workout will only be allowed through a paid registration form that can be filled out online or picked up at Brown’s Pharmacies and Vodafone. Payments can be made in person at Brown’s Pharmacies, Online via Paypal, Revolut or direct bank transfer and via cheque addressed to Communique Ltd. Various NGOs confirmed for the outreach day on Sunday 3rd of February including Action for Breast Cancer Foundation, Aurora Support Services, Alive Charity Foundation, Europa Donna Malta, Hospice, Karl Vella Foundation, Smiling with Jerome, Malta Community Chest Fund, Survivors Malta, Malta Colon Cancer Awareness Group, Malta Male Cancer Awareness, and Puttinu Cares. 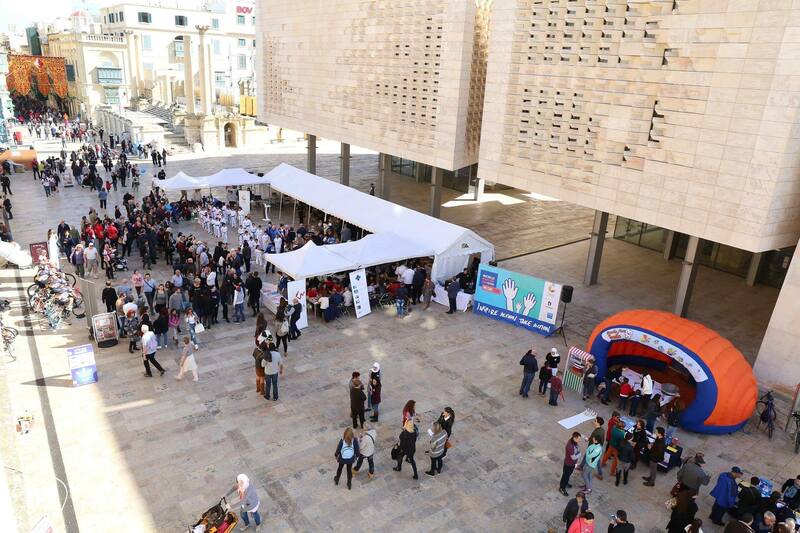 Activties include Face Painting, Health Promotion disseminating information, Medical Students with various medical tests, Dentistry department, and Tisjir Mill-Qalb. The National Screening department and the Mobile Blood Donation Unit will be present. Focus will also be on healthy food and physical activity thus we will be having ongoing demonstrations and classes.